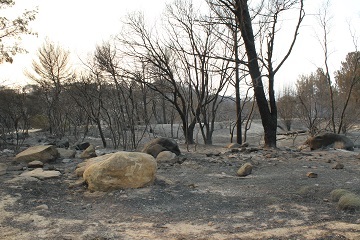 It has been 60 days since the Whittier fire moved itself through Rancho Alegre and destroyed our beautiful camp. We thank you all for the support you have afforded us during these difficult times. We still have basic infrastructure issues as we have been unable to start the cleanup and reconstruction process. We did finally get the water well temporarily repaired, but are unable to run water up to the tank due to leakage in the system. We are hoping on starting the cleaning process this month as we are also having discussion of what to build for the future. We have a great vision of how to support our communities, families and youth in the future and are now putting into action as we try to identify the company to manage this project for us. We are planning an open house of Rancho Alegre in its current state for those of you that like to visit soon. We will also have some service time available for those of you who have expressed interest in coming to Rancho Alegre to work. In addition, we will have several fundraising opportunities that include dinner events, country western concert and naming rights on structures. Stay connected to our Facebook and webpage for future opportunities. Thank you for your commitment to our youth and communities. Your friendship and support will have a lasting impact on Los Padres Council, Rancho Alegre and the Outdoor School. 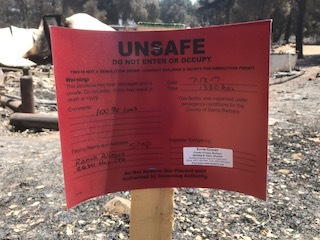 Yesterday marked 1 month that the Whittier fire moved itself through Rancho Alegre and we are still dealing with basic infrastructure issues. We thank you all for the support you have afforded us during these difficult times. We are now in the starting the cleaning planning process and the discussion of what to build for the future. Our board is committed to providing a place where memories and leaders will be built for the next 100 years. As we move ourselves into the planning process we need your help. We need as many pictures as you are willing to share with us of the structures that existed before. If you are willing to share those with us please post them on our Los Padres Council Facebook page. We will also need some expertise on construction and nature. If you are willing to talk to us about possibly helping us manage this large project, please email me with your expertise and company name. We have a vision of the possibilities and like to get help on setting them down on paper. Here is a video taken by drone of what the main part of camp at Rancho Alegre now looks like. Thank you for your ongoing support and leadership, we will come back and be set to keep developing leaders out of young people. The flower of hope for the Ranch's future! Middle: Dining Hall - Frank Lodge survived the fire. 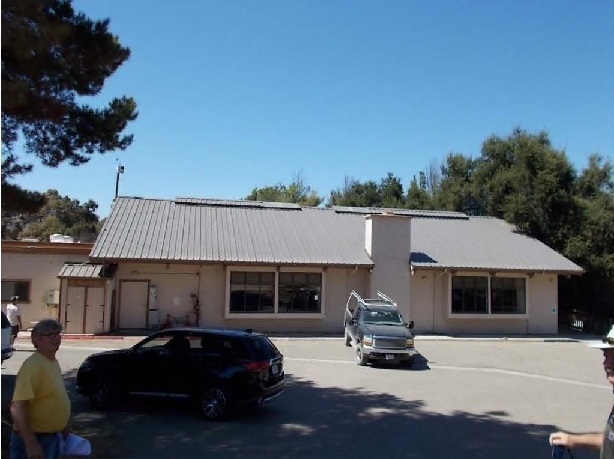 To read an August 9th NoozHawk newspaper article on future plans for the rebuilding of Rancho Alegre, click here. We are now at the beginning stages of our cleanup process as we have finally been able to assess the damage of the fire in its entirety. As you know the dining hall, Julie’s pavilion, pool and pool showers are the only buildings that survived. We have a lot of work ahead of us, but we are inspired to not only bring back Rancho Alegre but improve it. Improve it so we can provide greater experiences for youth of the Outdoor School, Scouting and our community families. 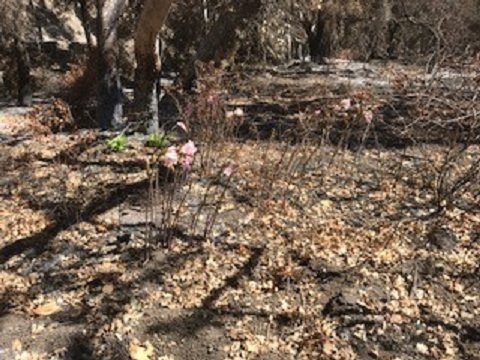 Nature is already trying to do its part as we spotted a group wild flowers already sprouted where fire at Larson’s Meadow had been not so long ago. 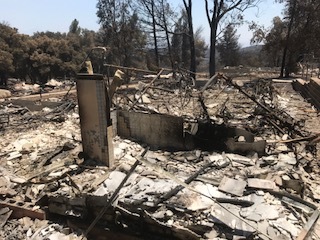 With your help we can come back from this devastation and provide not only a camp facility, but a resource to our entire central coast community. Thank you for all the support you have expressed to us during these difficult times and stay connected to find out how you can get involved and leave a legacy to last another 50 plus years. As most of you know the Whittier Fire passed through Rancho Alegre Scout camp causing total destruction to the property. First and foremost, we are thankful that no youth members, adult volunteers or staff were harmed. The safety and well-being of our Scouts and staff is incredibly important to me personally and the BSA as a whole. The Whittier Fire has been devastating for the entire community and surrounding areas. Our thoughts and prayers are with all who have been affected. I can confirm no youth members were present when the fire reached the camp. 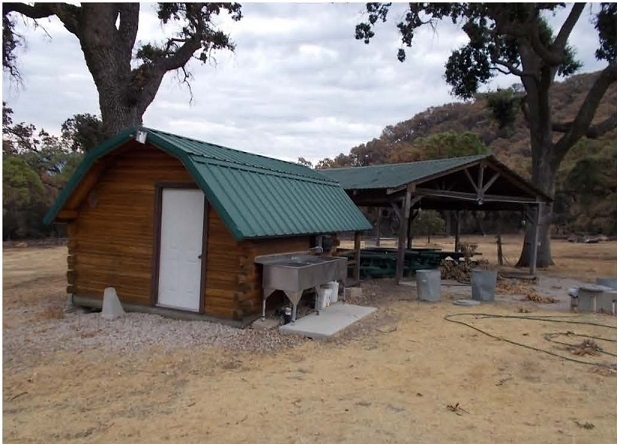 Upon spotting the fire, the staff at the camp immediately moved toward safe areas and vacated the property in time before the fire reached the camp. The fire devastated the property, and while we’re still processing the damage, we’re looking at how we can rebuild the camp. The 4 structures still standing are the dining hall, 1 cabin, small dinning structure at Larson’s Meadow and 1 dorm that was on fire and badly damaged. Everything has been burned down. The property means a lot to Scouting, youth and the community. Not only has it been the summer camping destination for countless Scouts for nearly a fifty years, it has forged memories and friendships for youth that will last a lifetime. It’s important to us that the tradition continues for years to come, so we are already working toward rebuilding the camp. 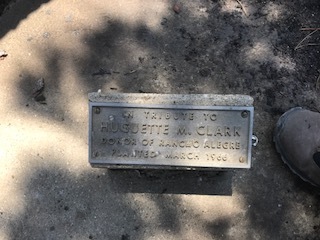 As we found the tribute plaque dedicated to Miss Clark, the donor of the ranch, we got a glimpse of hope for the future. We don’t yet know what the future view of the ranch means yet and what will be needed above the insurance coverage. What we are sure of is we are committed to not only getting Rancho Alegre back, but making it better than it’s ever been. Looking ahead we see this as an opportunity to make the updates the camp has needed for some time in order to serve our entire community and all of our families while displaying and enhancing our Scouting experience. If you like to get involved please visit our website www.lpcbsa.org to donate or call our council office 805-967-0105 to dedicate yourself to the future of Scouting and Rancho Alegre. Your resources, knowledge and work will be all needed to set the path for our future.